If you have reached this page, then you have a problem with access to the settings of your WiFi router or modem. There are several ways to solve. You just have to understand a few simple technical options available for understanding any computer user. Let's understand the how to access to router settings. Each managed network device is a mini-computer with unix-based operating system. And each of these devices has its own IP-address, which binds to creating a network. 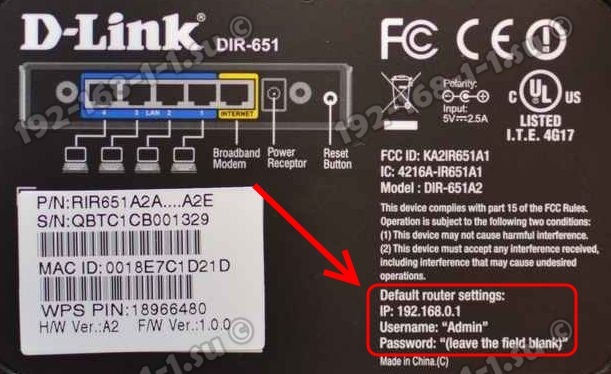 On routers Tenda, TP-Link and D-Link is common to use the address 192.168.0.1. Why not 192.168.1.1 - I have no answer. Historically, these vendors were simply use the address 192.168.0.1 instead of 192.168.1.1 for the internal LAN. How access to router setting page - http://192.168.0.1?! • Your have problem with computer or connecting patch-cord. • The router has a different IP (some models use 192.168.1.1). • Default router's username/password for access 192.168.0.1 - admin admin was changed. • Router has problem with firmware or malfunctions. • Router simply turned off. Turn on the router into an electrical outlet and connect it with a network cable to your computer. Typically, the network cable to the router is connected to the port labeled LAN (sometimes marked in yellow). On the router 's face should light one of the LAN LEDs. Сomputer should also see that you are connected to the LAN. If the LED does not light up - try another port router. If this is repeated on all ports - replace the network cable.